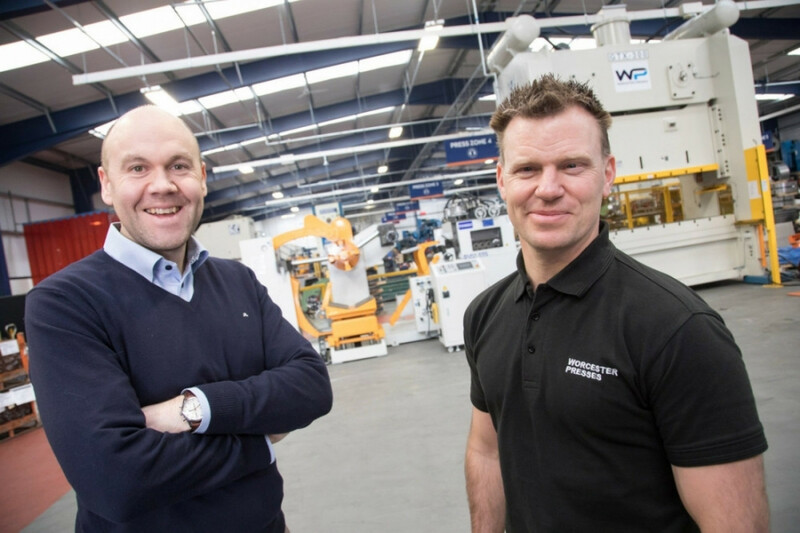 Investment in a new state-of-the-art machine from Worcester Presses is helping a Cannock automotive supplier win more than £750,000 of new contracts. RSD Pressings, which supplies components for seats, sub-frames, cross car beams, bumpers and body, has installed a new GTX300 Chin Fong Progression Press and can now take on much bigger parts for tier 1 customers and major car manufacturers. Nearly £350,000 has been spent on the machine and a Tomac TLN4 coil line, with more than £100,000 of funding secured from Stoke-on-Trent and Staffordshire Grants 4 Growth and the European Regional Development Fund. The components we manufacture at our new facility in Cannock end up in millions of cars all over the world, including Aston Martin, BMW, Jaguar Land Rover, Nissan and Volvo, explained Daniel Burton, operations director at RSD Pressings. He went on to add: Worcester Presses came in, looked at our requirements and then developed a turnkey solution that involved the GTX 300, the latest HMI touch screen control and new Tomac TLN4 coil line that will increase our progression and coil feeding capabilities. RSD Pressings, which boasts annual sales of £5 million and employs 50 people at its state-of-the-art facility on Gallan Park, has worked with Dudley-based Worcester Presses for more than five years. The relationship has seen it purchase eight machines over that time and this understanding was key in the swift installation and commissioning of the GTX 300 and the subsequent training of three operators. This is a major investment for our business and we need to be able to know the company we are using will meet deadlines and deliver on after sales support, continued Mr Burton. Russell Hartill, director of Worcester Presses, added his support: The GTX is a state-of-the-art press in every sense of the word and offers fantastic performance, reliability and, with the large bed size, capacity. Established in 1949, Worcester Presses has seen a 30 per cent increase in sales over the last twelve months from customers involved in the automotive, aerospace, construction and medical sectors. The Peartree Lane firm, which will be on stand H20-354 at MACH 2018, supplies a host of mechanical and hydraulic presses from Chin Fong and Yeh Chiun, as well a growing range of Tomac coil handling equipment.